Ok, so this is my first mock on the forum. I quite like BBC Sport's current branding, and definitely believe that it could be the basis of a consistent BBC rebrand. I have used the Titillium font, as I do not have a copy of BBC Reith. I'm happy so far with my design, and constructive criticism is welcome. As for BBC One, my idea is that you could have a beach ball globe, or a globe football being kicked around a pitch. 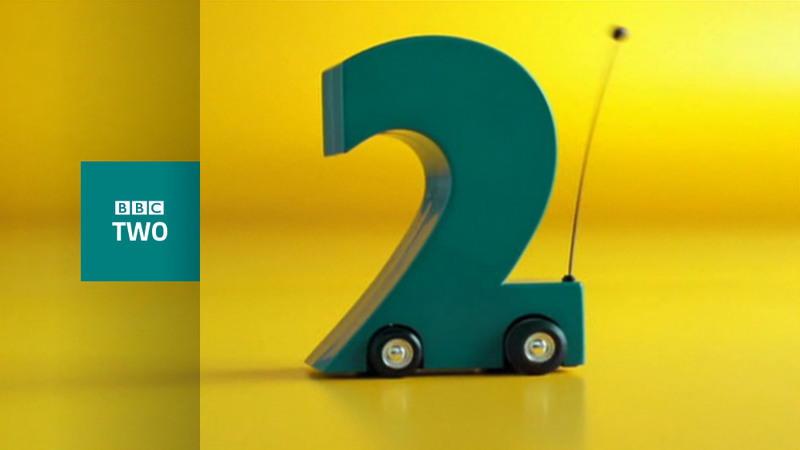 BBC Two would keep the current idents, just with the new logo placed to the side. 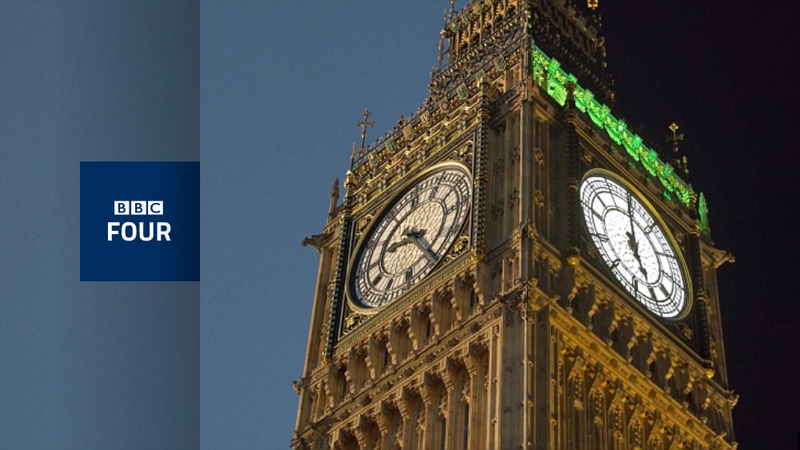 My idea for BBC Four would be time-lapse shots of different locations, with one half of the shot being day, the other being night. 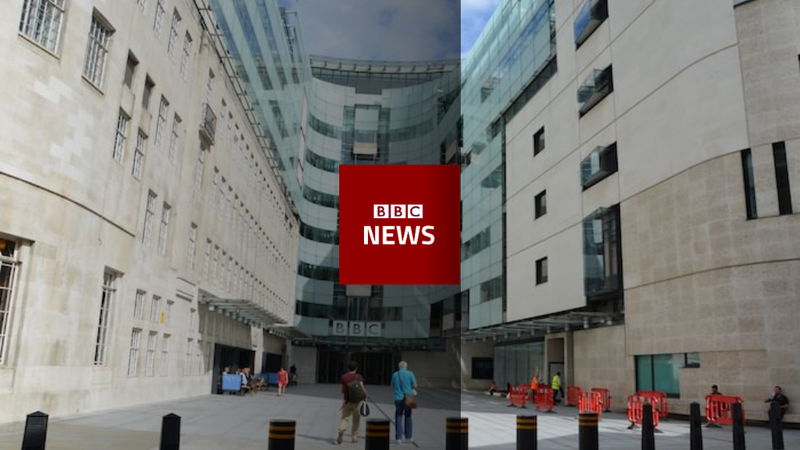 BBC News would use shots of current news stories (à la Channel 4 News), finishing with a shot of Broadcasting House. 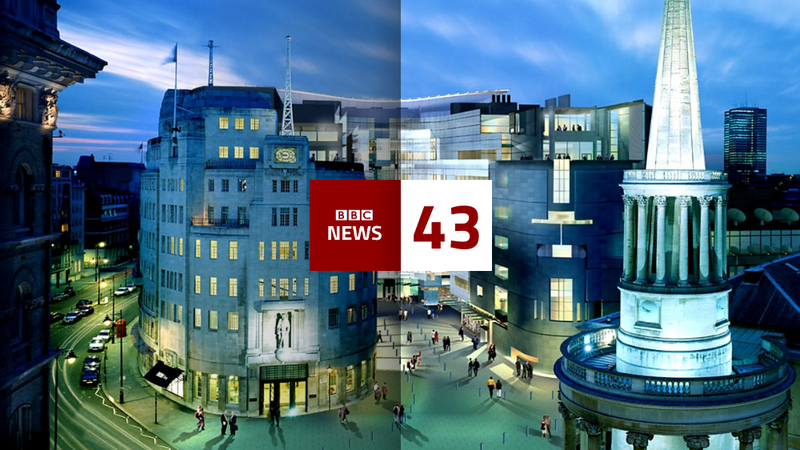 The news countdown would be a time-lapse shot of Broadcastring House, with the logo and countdown numbers over it. 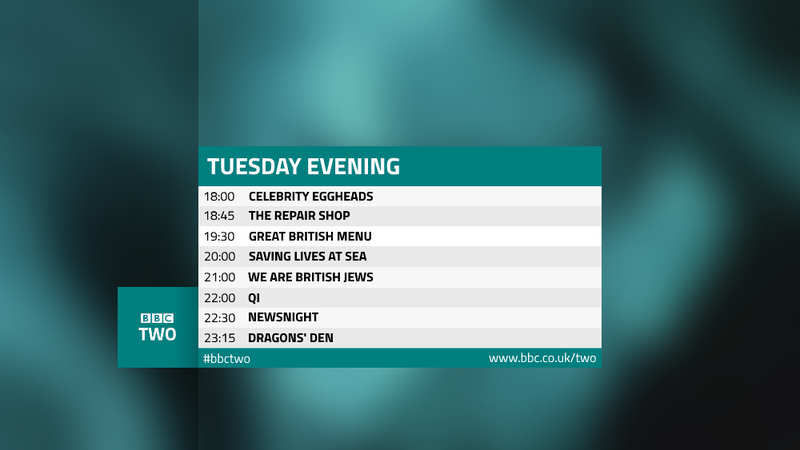 Interesting idea but I feel that the box with the BBC blocks and channel name is either too big or its text contents are too small. They look oblong to me, are they meant to be square or oblong? The BBC Four endcap box is out of alignment with the rest of the elements. But that aside, as above I think the overall text is a bit too small. Edit: I have revised the endboard again using Reith. I also like the slick effect used by BBC Sport with the gradient sidebar. I think it could work with other BBC brands/channels. As others have said, the text needs to be better proportioned, and the logo boxes need to be square. However, it's a nice concept and worth developing. The BBC Sport branding is some of the best the BBC have at the moment so it's really great to see what the rest of the BBC would look like if they went down this sort of route. 1. I'd change BBC Three back to being a pink colour - I think the channel has become known for being pink in colour and the light blue doesn't really make me think of BBC Three. 2. With BBC Radio 1, I think that the BBC radio stations need to have more of their own identity to the TV channels and I might go down the route of using just a letter '1' for BBC Radio 1. 3. 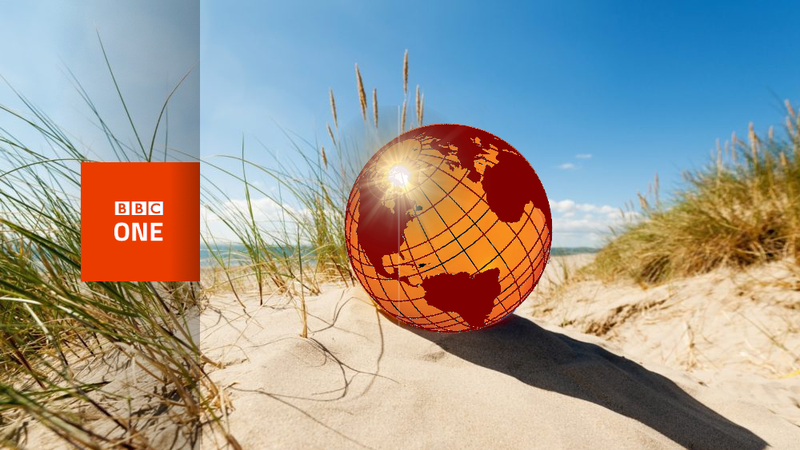 The 'beach ball globe' doesn't work at all in my opinion for the BBC idents. I'd remove it altogether and rethink the BBC One idents. Just some pointers based on my views on your work, but really very good mock - one of the best I've seen on the gallery for a while. Thank you for all the feedback so far guys, I've listened to your feedback and have revised the logos. As for the main logos, I have made the text bigger, as some people have said that it looks out of proportion. I've also created logos for the radio brands. A really nice start, Luke. Looks better in Reith so that's an improvement already. Good to see you're taking on board feedback given. For me, take a look at the practicalities of your graphics. The one 'Beyond 100 Days' is nice enough but the difference in the size of the title text and the hashtag at the bottom is far too great. I think you need to increase the bottom and decrease the top. 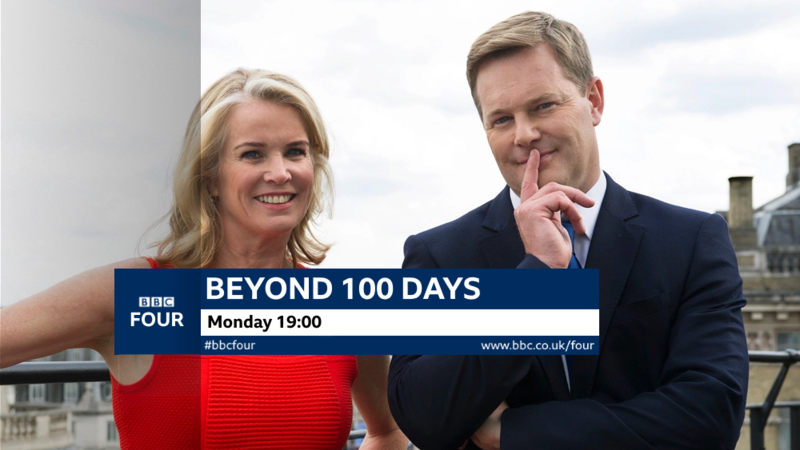 'Beyond 100 Days' is quite a short show name and yet it takes up 2/3 of the space in the box. Think about these logistical things and you'll make it better. Keep going - you're making fantastic progress. Overall I think this is good, Reith does improve the logos. The only thing I’d change is to decrease the shadow, since doesn’t BBC Sport only use a very small shadow to make it look like the right layer is on top. There’s definitely potential with this mock, the revised endboard you’ve posted looks really good. I’d suggest adding a slight gradient to the logos to make them a little more interesting, and using a lighter red for BBC One rather than orange. Revised logos look far better - and I like the idea behind the original examples and would like to see them developed.